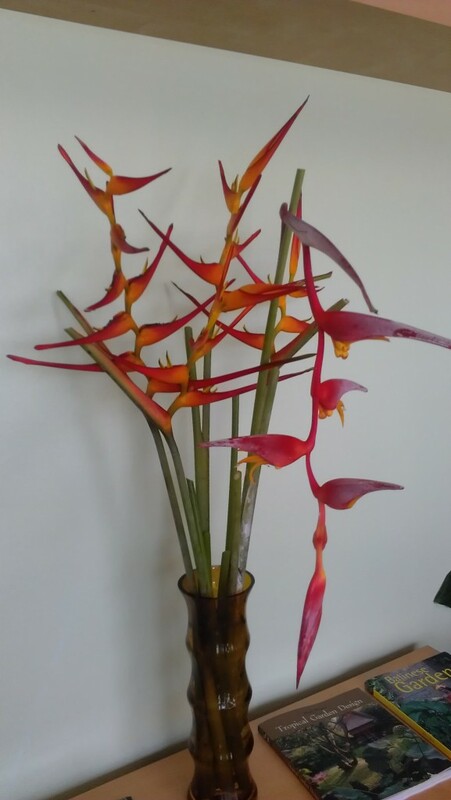 Some new blooms in the lobby vase this week- Heliconia Latispatha ‘Red Yellow Gyro’ and Heliconia Collinsiana. 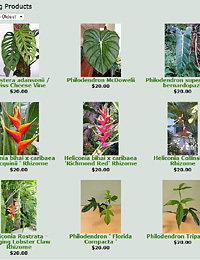 Both are great bloomers in Brevard and both are in stock. 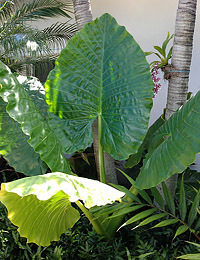 This is a cool new one- Variegated Alocasia gageana ‘California’ – this is a dwarf Alocasia- it gets a leaf about 2 feet long and stays around 3-4 feet tall. 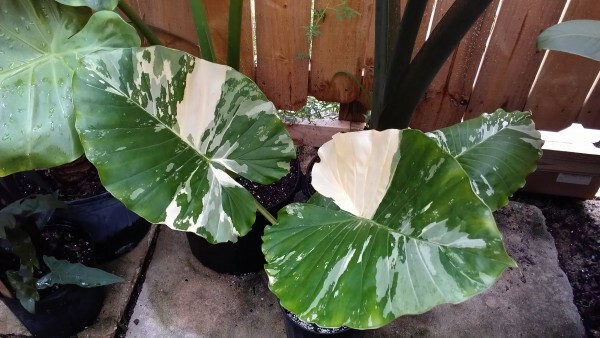 The variegation is the really unusual element- I have never seen this type of Alocasia with variegation, and what’s more, it is quite stable in bright light. 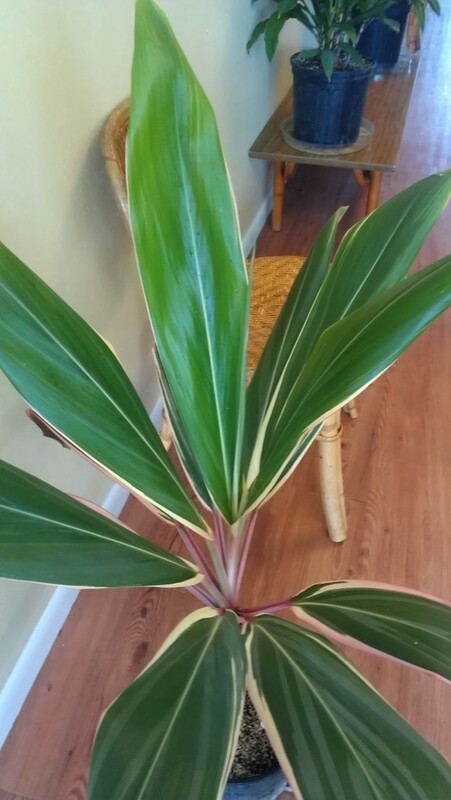 Just got a couple ‘Pink Diamond’ Ti plants in (Cordyline fruticosa) This variety is a very strong grower with a noticeably different coloration than most Ti plants. 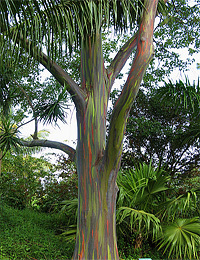 It does well in bright sun, but has become difficult to find. 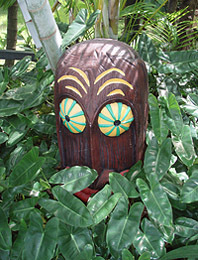 I have a small limited supply of these- definitely the collector’s Ti plant. 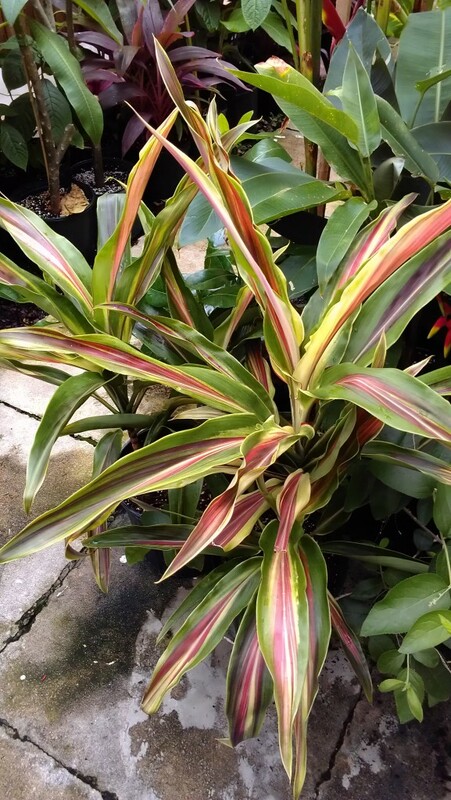 Another very cool Ti plant- this is Cordyline fruticosa ‘McInerny’s Spear” it is quite colorful and an easy grower. Likes plenty of bright light. 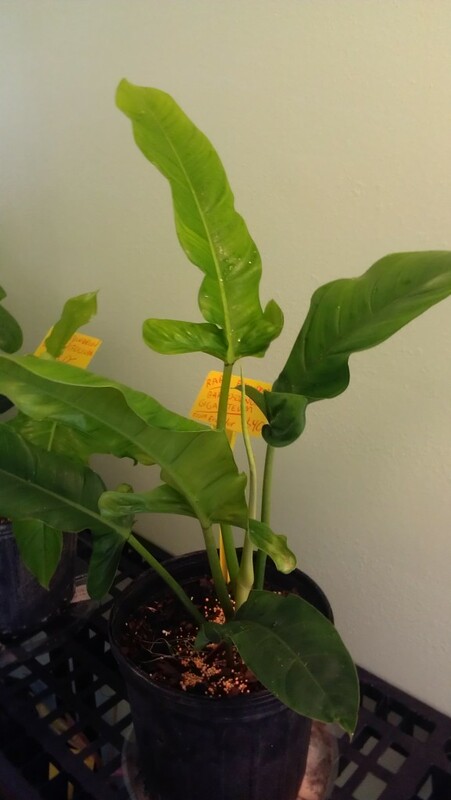 The heliconia are going crazy at Exotica Tropicals this summer- everything is loving the heat and humidity- putting on lots of growth- its –like a jungle in here! 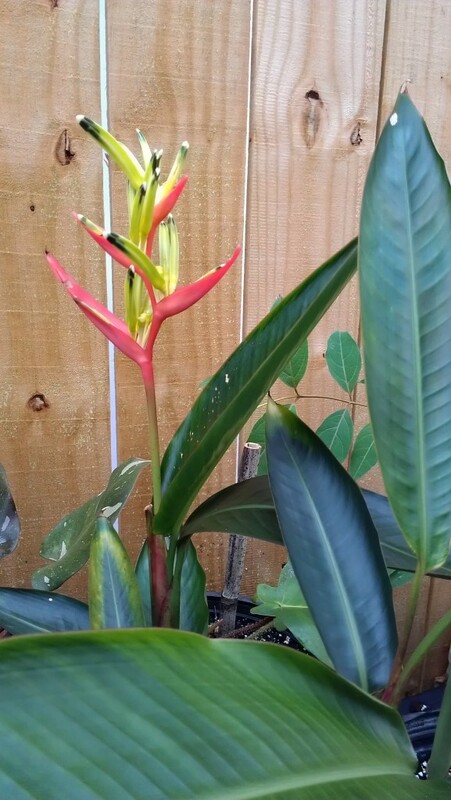 Here is an unusual favorite of mine- I’ve never been a huge fan of the small “parrot’s beak” (Heliconia psittacorum) but this particular hard to find cultivar is awesome- it has a flamingo-pink bloom unlike any other I’ve seen. 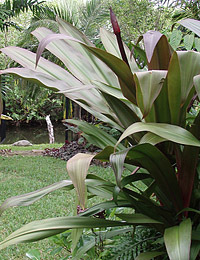 In fact, it’s name is Heliconia psittacorum ‘Flamingo’ – the bright pink blooms sit atop very deep green glossy foliage. It likes a bright, but partial sun. Grows to about 3-4 feet and is cold hardy. Just have a few in stock, but its a great one.